Types of Helmets. Characteristics of each, the good and the bad sides. Why do I always wear a Full Face Helmet. Safety standards. How safe is your helmet? Sizes and Fitting.How to measure your head. Head shapes. Key factors: Weight, Ventilation, Noise and Visibility. Finding the best option for your available budget. If you think that you already know all what you need to know in order to get yourself the best helmet, you can go straight here. There are 5 main categories of helmets according to shape and functionality. This kind of helmets go all around your head and face. The shell is all the same piece that can be made in different materials such as Polycarbonate, Fiberglass, Kevlar and Carbon Fiber (in order of performance, from lower to higher). Inner liner is usually made of polystyrene or polypropylene (EPS) foam. Those are the materials used in the majority of helmets, regardless the style. They offer the BEST protection. They are the only choice for me and you can read why further below. 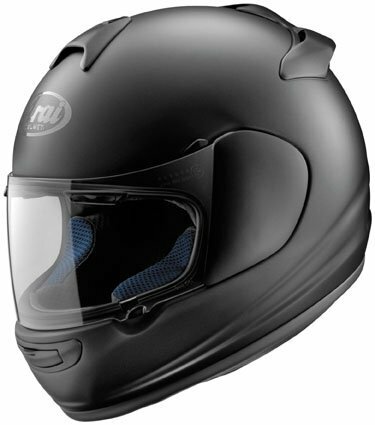 Complete protection for all your head, jaw and face in the event of an accident. Overall resistance of the helmet is always higher than other helmets made of the same materials/ending. Protects your face against debris and insects. Protection against metereological factors such as rain, wind, snow or sun. Under extremely hot conditions full face helmets with poor ventilation will wear the rider’s condition. 3/4 Helmets are a simplified version of full face helmets. The chinbar part is removed, resulting on helmets that show the whole face. This trades safety for ventilation and looks. Very popular among cruiser riders and scooter riders. Lighter in weight than full face helmets. Great ventilation of the face. No protection for the face. No protection for the eyes, resulting in unsafe conditions against debris or insects, and unconfortable riding that will require extra eye protection, from sunglasses to face shields or goggles. Known in some parts of Europe as “ticket savers” and “widow makers” this kind of helmets trade huge quantities of safety for comfort, freedom and badass looks. As those nicknames indicate, they are only worth to save you a ticket from riding without a helmet in case your state’s law requieres so. For any other purposes, they are almost as good as wearing no helmet at all. Lets see it. Lowest protection. Half head helmets only protect the top of the head, leaving the back of the head, the neck and the face unprotected. Studies show that this kind of helmets only protect on ~40% of the collisions. Huge wind resistance. This will result in neck and shoulder fatigue. No protection from the elements, debris, insects, or almost anything that could potentially hit your face. Designed to offer the best of 2 worlds. The safety and protection of a full face helmet and the visibility and comfort of a 3/4 helmet. Very popular amongst seasoned riders that combine a lot of city-riding and road riding. Versatility. Ride full face and go around 3/4 at gas stations, snack breaks or slow traffic in the city. Comfort. Easier to get in and out than on a full face helmet. Every other Pro from Full face and Open face helmets together. Weaker resistance on the sides of the helmet due to the mechanism joints. No modular helmet ever has passed the SNELL test, mainly because of this issue. More moving pieces make them less reliable in the long term. This are essentially full face helmets with some particular, unique features that make them a completely different kind of helmet, mainly due to the use they recieve. This helmets are designed for off road riding, which requieres them to provide answers to the particular conditions off road presents. Large shield on top that protects from glaring lights. Great ventilation. 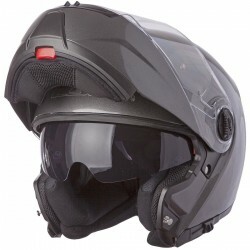 This kind of helmets usually have a larger number of ventilation ports to ensure great airflow. When used on sport situations such as races or obstacle courses, this is key to avoid heavy head sweating. Usually made from very light components to avoid fatigue during extreme riding conditions. No eye protection. No face shield means no fog and 100% good visibility. Whilst that is good, eye protection is a must, so usually external goggles serve that purpose. Noisy and uncomfortable at high speeds. This is a real helmet by the american manufacturer ICON. The outer design shows the impact statistics according to Dr. Dietman Otte’s study on motorcycle safety. The number shows the % of times each area is affected on a crash. See that 19.4% and 15,2%? Full face helmets are the best motorcycle helmets when it comes to safety and that isn’t arguable. Remember, you face looks cooler than a helmet until you have an accident. Then it no longer does. 2. Safety standards. How safe is your helmet? One of the most confusing things when we look around for helmets is all those abbreviations… DOT SNELL ECE SHARP ACU… The hell do they mean? And which one is better? Many questions arise when we see that the helmet we’ve just fallen in love is DOT but not SNELL and 2* SHARP... What does that exactly mean in safety terms? Lets have a look at this so you can answer all those questions yourself with little to no effort. I’ll keep this part as simple and straight forward as possible. This is the essential standard any helmet for on-road purposes MUST meet to be legally sold in the US. 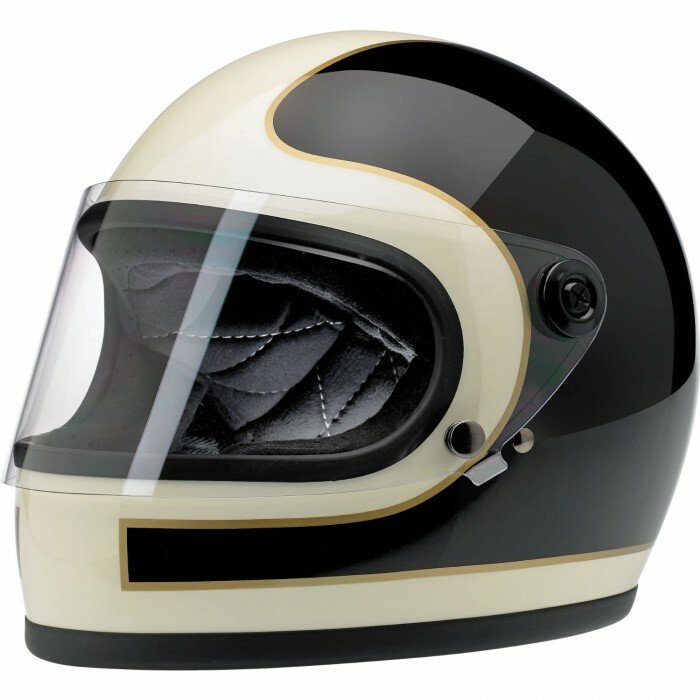 The actual standard name is FMVSS 218, the Federal Motor Vehicle Safety Standard #218 for motorcycle helmets. That a helmet is DOT certified essentially means that it meets or exceeds the requierements set by the National Highway Traffic Safety Administration to call it “Safe” to ride on road. How it works: Manufacturers test their own products and if they pass the test under D OT requierements, they add the label(see picture) and sell the helmet. Once the helmet is available in the stores, the DOT will buy, post-production, a few units and submit them to independent laboratories to verify compliance. If a helmet does not pass this 2nd test, the DOT will apply HUGE penalties to the manufacturer. (as high as 5000$ per unit). To see the DOT test specifics, you can go to this post of webBikeWorld. For more information, you can visit the NHTSA website. This stands for Economic Community of Europe and the actual name is “ECE 22.05” or “Regulation 22”. This standard is followed throughout Europe and in aggregate a total of 50 countries all over the world accept ECE as the baseline standard to decide if a helmet is safe to wear or not. It’s basically Europe’s DOT test. How it works: The manufacturer sends samples of every single batch they ever produce for ECE testing. If the helmets pass, they can add the label and legally sell those helmets. Here is a pdf document with the whole ECE 22.05 safety standard text. The Snell Memorial Foundation is a private, non-profit organization formed in 1957 dedicated to improving helmet safety. It’s a voluntary certification that most manufacturers seek due the high reputation of this standard. It is not legally requiered that a helmet is SNELL certified to be legally sold and worn on road. How it works: Manufacturers send samples to SNELL for testing. IF they pass the test, the manufacturer can add the label and CAN NOT modify in any way the helmet during production. By doing so they would lose the sticker. SNELL runs post-production tests to random samples to verify continued compliance. The current standard is designated M2015, and although not requiered for street uses, some competition sanctioning bodies may requiere that the helmets used are SNELL certified. On the website of the SNELL Foundation, you can see a comparison chart between DOT and SNELL. SHARP stands for Safety Helmet and Assessment Rating Programme. A UK based programme that test how well do helmets perform under impact, in a scale from 1 to 5 stars. SHARP is concentrated on testing full face helmets (although they have started to test modulars since a few years back due the increasing popularity, and their final goal is to test every helmet). So helmets that are sold in the UK must meet either ECE 22.05 or British Standard 6658:1985. SHARP will only asses the extent to which helmets offer protection above these minimum requirements. How it works: The manufacturer sells their already ECE certified helmets. SHARP gets a few samples and run their tests. Then they rate the helmet according to performance from 1 to 5 stars. It is considered to be te toughest test. Here you can see every helmet ever tested by SHARP and its rating. ACU is the UK equivalent to the AMA (American Motorcyclist Association). Their Gold sticker used to mean that the helmet provided over-the-top safety performance. However, during some time ACU selled the sticker to underperforming helmets due their popularity, in a move to make business. This has largely damaged its reputation and it’s still to see how their new 5* system works and how accurate it is. For now, you may forget about the ACU Sticker. You need your helmet to be DOT certified (unless it is for pure off-road use) and studies show that 90% of real life crash impacts are at or below the impact requirements of the DOT performance standard for motorcycle helmets (also known as FMVSS 218). However, do remember what we’ve seen on the helmet types analysis. Half face helmets can be DOT certified but do not offer the same protection as full face. So… what is best rating? The one that is full face, DOT approved, SNELL approved, and 5* SHARP. There are dozens of other ratings. Stick to the biggest, most relevant ones that are worldwide recognized. From there, it is enterely up to you to go anywhere under those requierements, for as long as it is DOT certified if you plan to ride on open roads. 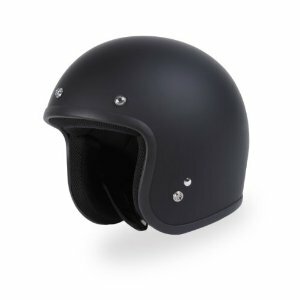 My personal recommendation, is to choose a full face helmet that is at least DOT + SNELL and 4* SHARP. 3. Sizes and Fitting. Head shapes. What shape is your Head? Fitting is the most relevant thing you have to look at. The best helmet on earth wont do its job if it’s not fitted correctly to your head. The best motorcycle helmet for you is the one that fits snug and grabs your cheeks firmly. The foam and linen of the helmet will adjust with time and use so don’t worry about your brand new helmet feeling “tight” for as long as it doesnt hurt in any point. If a helmet fits “just ok” the day you buy it, it will be loose in a year and your head will be bouncing inside the whole time like a tennis ball on a washing machine. Helmets that are too big for you DO pop off of your head on a collision due to the strong, immediate deceleration. If that happens the whole point on wearing a helmet is missed. Therefore, always ensure that your chosen helmet fits you snug but not painful and that the chinstrap is thighten so that your pinky finger fits just tight between your chin and the strap. With a soft tailor’s tape or a piece of string, measure your head around the crown, that is, just above your eyebrows and to the back. Take a measure of the length. See picture on the right. Do NOT use metaltape or ductape or similar. They deform and elongate and modify the final measure. Go check where that measure puts you on the manufacturer’s sizing chart. Note that not all manufacturers size their helmets the same way, and even some models from the same company might have different sizing between them. With this infographic you can know some manufacturers’ sizing. But what if the helmet brand you are after is not listed there? Don’t worry, you can always find the fitting chart either at the Amazon page for the helmet or at the manufacturer’s webpage. There are 3 main shapes. Your noggin will either be a round oval, an intermediate oval, or a long oval. Most people have an intermediate oval shaped head, but not everyone. The quicke st way to determine this, is by asking a friend to jump on a chair and look at your head from above. Now don’t worry if your head is not exactly like some of those 3 but rather a slight variation of. Manufacturers take this into account and the interiors will adjust to those variations. 4. Key factors: Weight, Ventilation, Noise and Visibility. Helmet style, safety rankings, fitting… All those are factors that we could label as essential. They address the most fundamental duty of a helmet, which is ensuring protection in an accident and against the external factors. But a helmet that makes you feel uncomfortable won’t do you good either. There are three main factors (besides fitting) that have a massive impact on how comfortable a helmet feels. This is a key characteristic that depends largely on the helmet type and the materials used. Carbon fiber is the lightest component. Then we have Kevlar, Fiberglass and Polycarbonate (in order from lighter to heavier). That is also the protection-level order from Carbon fiber offering the best protection to Polycarbonate offering the least. This also correlates perfectly to the cost of materials. Inner padding is usually made of polystyrene or polypropylene foam. The density of this inner layer affects both weight and safety. To have a deeper look at this, you can check this wiki article. So, we essentially find that we have to trade either weight for money or for safety. How do we find the perfect balance, and how important is the weight of a helmet? Why do I say this? Firstly, a helmet under 3 pounds it’s either short on materials OR it’s using the best materials. To illustrate this, a F1 Helmet is just 2.75 pounds, which is the weight of the Schubert helmet Michael Schumacher was wearing at his comeback in 2010… which was 17,000 US dollars. 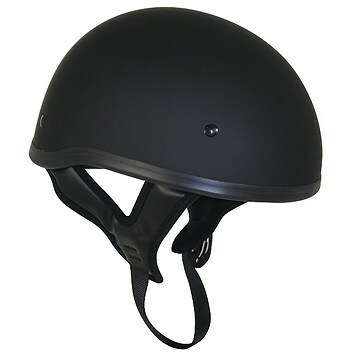 Second, a helmet over 4.5 pounds will start to feel a bit too heavy, which will mean no trouble for short trips but once you hit the highway for a while your neck and shoulders will start aching and you will feel general fatigue on your top part of the back. This is however a general understanding. A helmet’s weight won’t have the same impact on a big, muscular, 6’4” 230 lbs man than on a 5’4” 100 lbs lady. It is smart to keep it proportionate to your body. This is the second key factor regarding helmets comfort. A helmet that has poor airflow wi ll generate a series of unpleasant conditions inside of it. First and most noticeable is fog. A bad designed helmet will get foggy on the inside very easily and that will diminish your visibility (and I will talk about that on a minute). Poor ventilation will also make your head hot and the inside air stagnant, which will directly affect your concentration levels and the pleasantness of the ride. The size, number and design of the ventilation ports determine how good the airflow is, and the design of the inner padding will influence on how fresh your head feels. As a visual example, retro style helmets as the one in the picture have great looks but miserable ventilation. So my personal recommendation here is: look for helmets that offer good ventilation. If your choice is the smart one (aka full face or modular helmets) check how the chinbar ports are designed. If you are going for a 3/4 or a half head, you will always count with great ventilation. The quietness of a helmet during the ride is determined by how aerodynamic it is and by the isolation provided by the materials, specially the inner padding. To put it simple, a helmet that’s too noisy will drive you nuts and hurt your hearing. Whilst the use of earplugs during riding is always advised, it shouldn’t be necessary. You can get my favorite earplugs here. Bear in mind this simple formula: The quieter a helmet is the better. The longer trips you intend to do with your bike, the more you need a quiet helmet. I give every helmet a rating from 1 to 5 in this field. My personal recommendation is to pick a helmet that is at least a “4” in Noise. Aaaaand last but not least is a very underlooked factor that does not necesarily address fisical comfort but does have an influence on the overall pleasantness of wearing the helmet and plays a role on safety. Now I am not talking about how easy is to see you (that does play a part too in this whole thing but we’ll leave that for later) but how good you see your surroundings whilst wearing the helmet. If you remember the Helmet Types review section, you know that open face or half helmets offer the best visibility. You simply have nothing around your eyes when you wear them. But what happens if you wear any full face style helmet? Some helmets have wider eyeports, some have them narrower, this aspect is entirely up to you to decide how important this is but remember, the more you see, the safer you are. Some manufacturers design helmets with ultrawide eyeports because they know how much this matters. A perfect example is the Nolan N44. 5.Finding the best option for your budget. Now that you know your head size and shape, what the safety ratings mean, the pros and cons of each type of helmet, the nuances about materials and the key points to look at on a helmet, you count with all the necessary information to make a smart purchase. 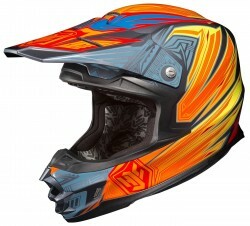 Therefore, it is time to find the best helmets available for your budget.